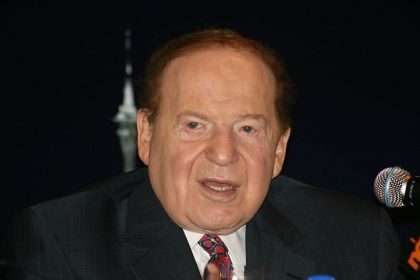 Prospects that Las Vegas Sands CEO Sheldon Adelson would succeed in mustering significant American Congressional support for his desires to ban all US-based online gambling took a significant hit on Thursday when a coalition of conservative lobbying groups publicly opposed the Adelson-backed Restoration of America’s Wire Act (RAWA) bill that its supporters had hoped to jam through through the current lame-duck session of Congress. The letter protests Adelson’s RAWA measure, which is currently under consideration in Congress as twin bills S.2159 and H.R. 4301. Among the issues raised by the conservative leaders are that the RAWA bill is an attack on conservative “federalist” principles, and that the bill attempts to usurp states’ rights regarding gambling matters as traditionally interpreted to fall under the 10th Amendment to the US Constitution. The complete text of the letter body is available below. The Senate version’s primary sponsor is Lindsey Graham (R-SC), while the House version has been championed by Rep. Jason Chaffetz (R-UT). Both versions have picked up only a small number of co-sponsors. The letter was signed by a dozen heads of conservative interest and lobbying groups, including Grover Norquist, the president of Americans for Tax Reform. Norquist is one of Washington D.C.’s most influential behind-the-scenes power brokers. The emergence of the letter indicates that Sheldon Adelson may have been largely unsuccessful in purchasing Congressional support for his protectionist business claims, which in the process of attempting to legislate a falsely-described “restoration” of a six-decade-old Wire Act, would trample state’s constitutional protections, as noted in the above. Adelson has received significant pushback over the last week or two, including a stinging rebuke from libertarian stalwart and maverick GOP presidential candidate Ron Paul, who issued a stinging rebuke aimed at Adelson and his RAWA aspirations. Paul derided Adelson’s efforts as the worst sort of “crony capitalism” to invade US politics, a blind reference to Adelson’s willingness to spend tens of millions of dollars in support of politicians who will do his bidding. The letter from the block of conservative groups represents another deep blow to Adelson’s hopes, in that the groups listed are the primary agenda creators for much of the current GOP crop of Senators and Representatives that holds narrow majorities in both houses of Congress. If Adelson’s RAWA initiative can’t draw support from the core of the party Adelson supports financially beyond RAWA’s narrow focus, the bill may well have a very dim future. We write to inform you of our strong concerns about S.2159, Restoration of America’s Wire Act, and its companion House legislation H.R. 4301, both known as RAWA. While RAWA supporters contend that this legislation is a simple fix to 53 year old Wire Act legislation on sports betting, RAWA attempts to apply federal sports betting regulations to online gambling – even though this legislation was created decades before the invention of the internet. The states have always led the way in regulating gambling and that is why a diverse coalition of organizations including the Democratic Governors Association, National Governors Association, National Conference of State Legislatures and numerous civil libertarian, free market and conservative groups have already spoken out against this legislation. Regardless of your personal opinions on gambling, we encourage you to preserve the authority of the states to prohibit or regulate gambling as the 10th Amendment directs. This S.2159 and H.R. 4301 are an assault on our Federalist system; so much so, that the legislatures of New Jersey and Pennsylvania are currently considering resolutions to Congress to ask you to vote against such legislation. These claims that the Wire Act provides federal authority to supersede state authority in intrastate gambling matters have been conclusively debunked in a recent paper from the University of Nevada, Las Vegas by Competitive Enterprise Institute Fellow, Michelle Minton. Minton documents the original debate regarding the Wire Act and shows that Congress had a very narrow intent for the legislation because of the same federalism concerns that exist today. Courts have repeatedly upheld that intent, which was the basis of the Justice Department’s 2011 opinion of the law. The real intention of this bill is to remove the state’s 10th Amendment authority to regulate online gambling as states see fit within their own borders. We hope you will not allow RAWA to become yet another instance where the federal government expands its encroachment into the states’ purview. State governments are more than capable of making this decision.